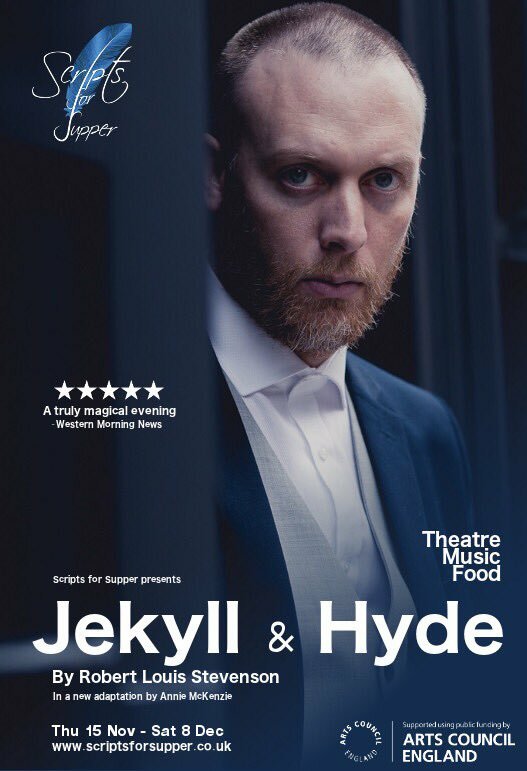 This November and December Scripts for Supper are presenting 12 nights of theatre and dining as they put on a play of The Strange Case of Dr Jekyll and Mr Hyde with a Victorian banquet, in a space in Shoreditch. Running Thursday to Saturday evenings from 15th November to 8th December, the actors will double as waiters and immerse you in the world of Robert Louis Stevenson as you eat. Tickets are just £60 for the evening's entertainment, or £90 including wine pairing. The company has also put on versions of Wind in the Willows, and The Lion, The Witch & the Wardrobe - don't miss this treat! 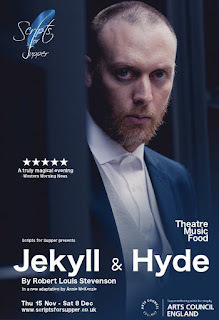 "This autumn we follow the spectre of everyone’s nightmare’s onto the streets of London as Scripts for Supper return to the capital, and bring you The Strange Case of Dr Jekyll and Mr Hyde. Taking place on 15th, 16th, 17th, 22nd, 23rd, 24th, 29th and 30th November and 1st, 6th, 7th, 8th December at The Tab Centre in Shoreditch; we’ll be revelling in potion drinking and Victorian banqueting with design by Darling and Edge. Food and theatre collide in Scripts for Supper, where the actors double up as waiters and the food brings you into the world of the play. Expect music, singing, merriment and some spooky vaudeville to liven up those dark Winter nights."